How to set up Time off policies? By default there already are 2 pre-defined policies: Vacation & Sickday. You can edit their settings as well as create unlimited number of new policies. 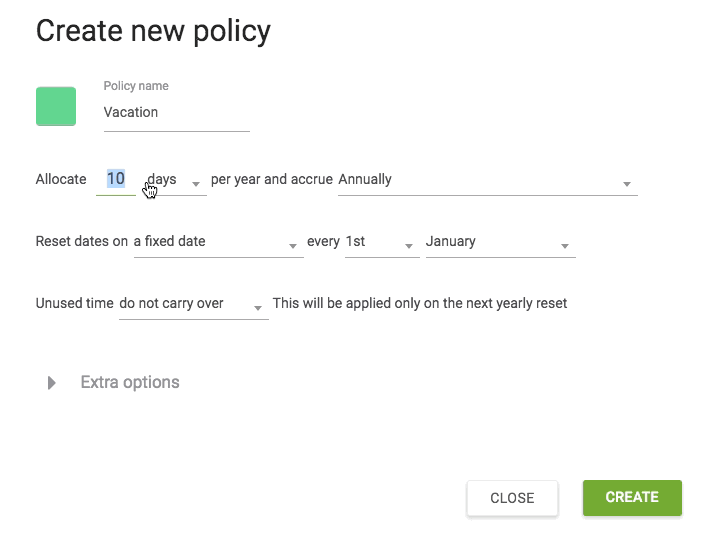 To create new policy, click "Add new policy" button. When editing policy settings, make sure to check what's under "Extra options" - there you can define specific rule for edge-cases. If you have any questions on policy setup feel free to reach out to us.